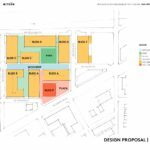 The site at 2505 NE Pacific Street includes the superblock bound by NE Holladay Street, NE 27th Ave, NE Oregon St and NE 25th Ave, as well as a half block parcel at NE Pacific St and 27th Ave. The site is known for the 1962 pavilion structure, designed by Scott & Payne architects. The building was surveyed as part of City of Portland’s 1984 Historic Resources Inventory, and assigned Rank II, indicating that it may be eligible for listing in the National Register of Historic Places. 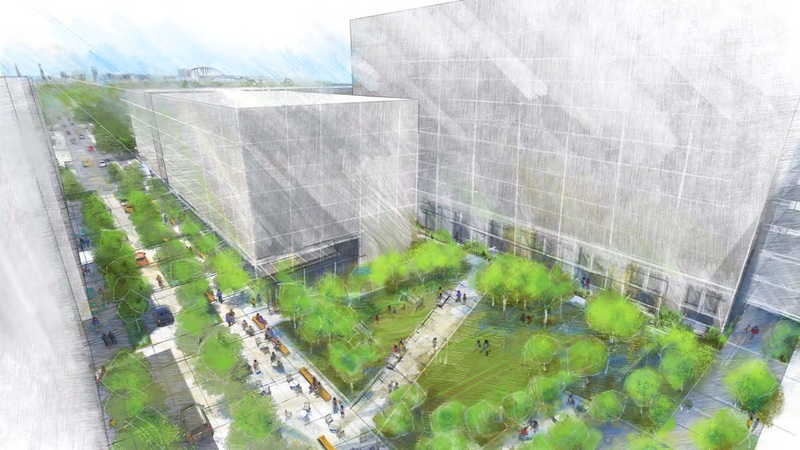 The superblock will be broken down by the extension of NE Pacific through the site as a woonerf. Buildings A and B, between NE Oregon St and NE Pacific St, would be built as part of the first phase of the development. 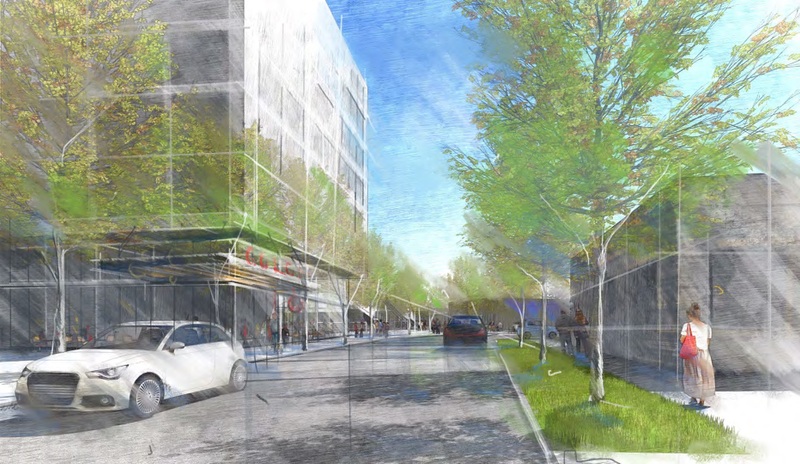 The two buildings would include 335 residential units and 28,500 sq ft of retail, and rise to a maximum height of 87′. The Phase I buildings would provide the entire affordable housing obligation for the site. 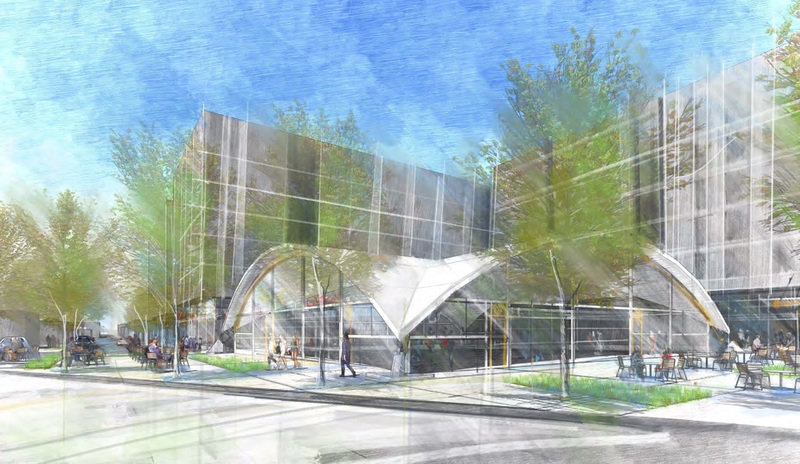 The main vaulted portion of the mid-century building would be retained, with the sidecar element removed to create a new plaza space facing NE Sandy Blvd. Buildings C, D and E, between NE Pacific Stand NE Holladay St, would be developed as part of a later phase of the Pepsi Blocks. These buildings could rise to a maximum height of 120′. 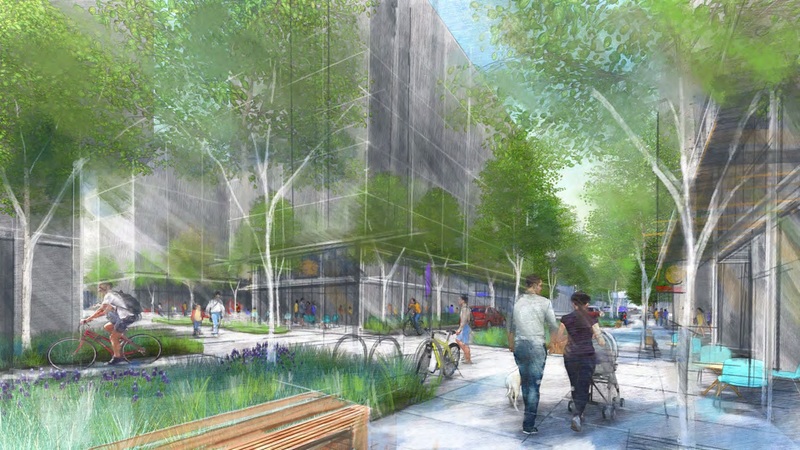 The second phase would also include a privately owned but accessible park fronting onto NE Pacific St. The 1962 pavilion is currently surrounded by concrete warehouse structures, built at later dates. 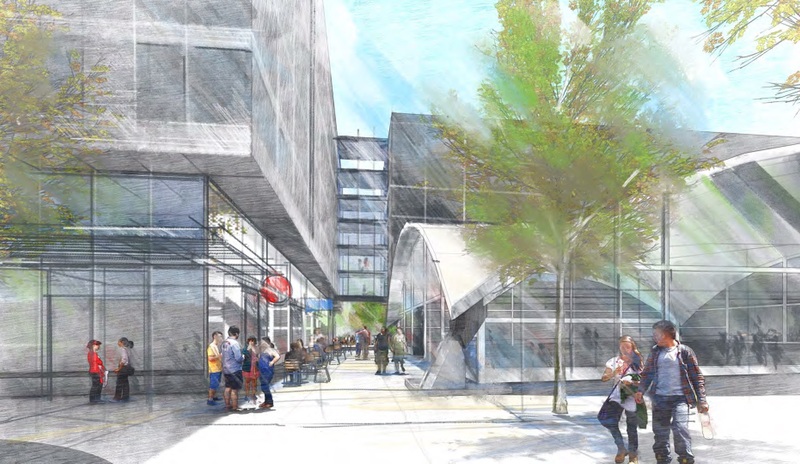 Under the proposal the building would be daylit on all sides, with new pedestrian connections created along its west and north facades. 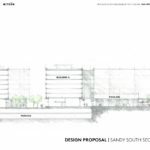 A pass-through at level 1 of Building A would create a pedestrian connection from NE Sandy Blvd to NE Pacific St. Went in front of the Design Commission for its first Design Advice hearing on July 12th, 2018, where it was generally well received by the Commission. Most of the discussion centered on the public spaces, with Commissioners split about whether a plaza facing Sandy Blvd could be successful. 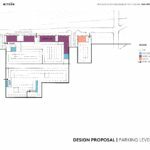 The project is currently set to return in front of the Commission for a second advisory hearing on September 12th, where the conversation is expected to focus more on the design of the individual buildings. 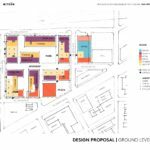 In order to earn the proposed building heights the site will be required to go in front of the Design Commission for a Type III Planned Development Review. The individual buildings in the masterplan will also be subject to Design Review. Full disclosure: the author of Next Portland submitted testimony in advance of the Design Advice Hearing, on behalf of Docomomo Oregon. This entry was posted in Kerns, Mithun, Pepsi Blocks, Security Properties. Bookmark the permalink. I think it looks like a great plan for the site. 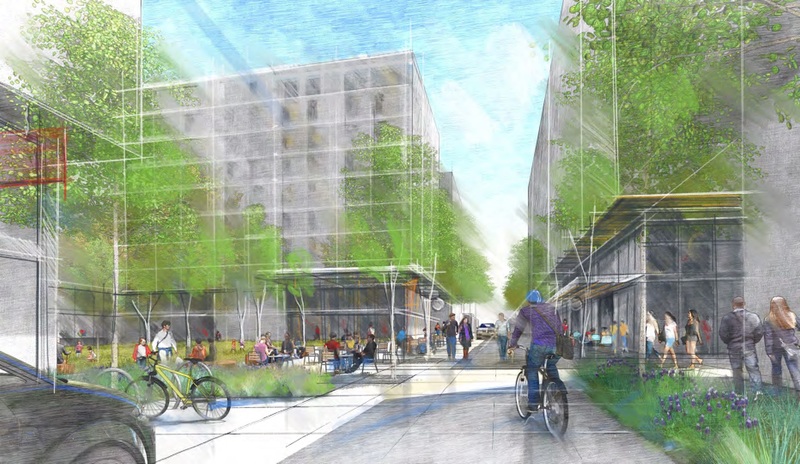 Instantly anonymous, predictable, and unbelievably boring master plan. Yes, it provides a backdrop for the iconic Pepsi building….but the plan doesn’t seem to offer much else. No variety of size and distance, no opportunities for multiple scales of public space. It’s amusing that they are throwing out a Dutch planning term (the “woonerf”) to try to give the project some Euro-legitimacy without quite knowing what to do with it after that. I’m disheartened that this plan was generally well received by the commission. We, as citizens and as leadership, need to look forward not backwards. Granted this isn’t as big as the Oregon square project that’s been shelved but take a look at what happened to the Lloyd center cinema parking lot that’s fenced off. That’s been pretty much cancelled. I heard rumors about this, but I can’t find any news sources. Can you point to somewhere I can read more about it? Just curious. Thanks. 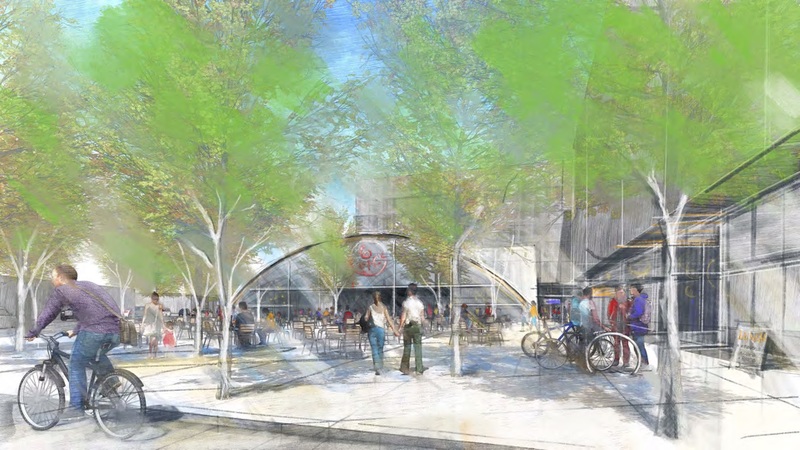 The developers of the Oregon Square project are “evaluating” the project. Simply put, they bit off more than they can chew, and don’t have the money. Rumor has it the project is quite dead. 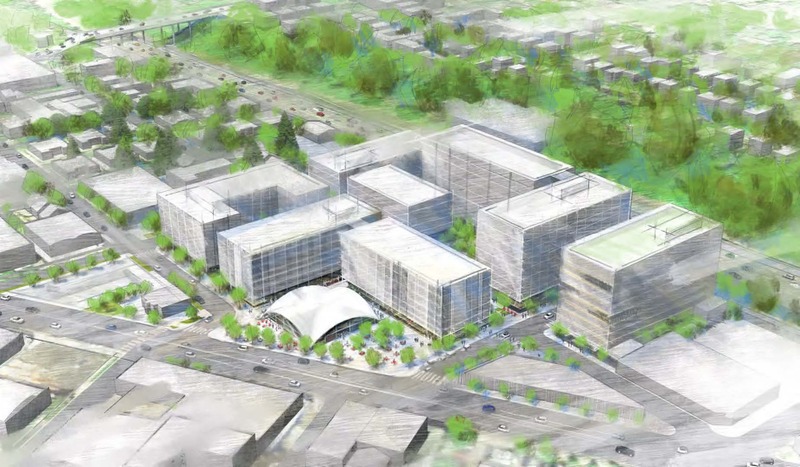 The renderings here certainly make this look like a generic 80’s office park, but this is an EARLY schematic drawing, and Mithun is an excellent architecture firm. I have faith they will create something wonderful. Promising start, but definitely needs a lot more detail filled in. I’d love to see them push to remove both garage entries on 25th, convince PBOT to close 25th’s access to Sandy, and fully close 27th south of Pacific to vehicular traffic (maybe even partnering with Zipper/Hollywood Vintage to push PBOT to close off Pacific east of 27th as well). Consolidating the Sandy-bound traffic to 24th, 26th, and Holladay (with new signals at 26th/Sandy and Holladay/28th) would make that stretch of Sandy significantly more pleasant and safe, and provide much more opportunity for the proposed plaza around the pavilion to succeed by connecting it directly to the Zipper.